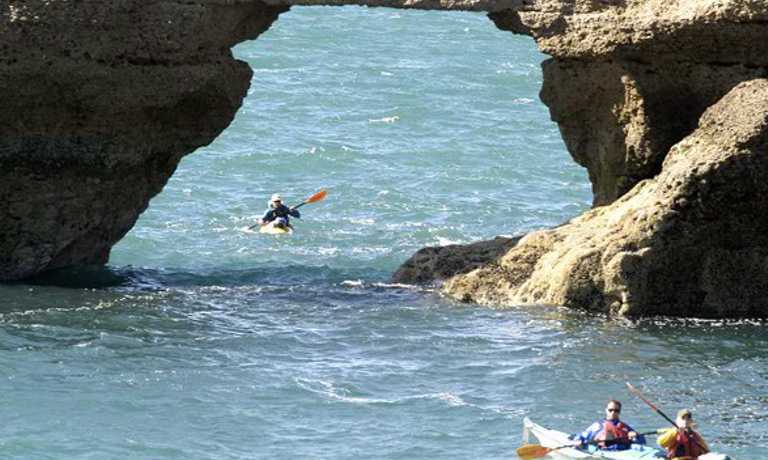 Spend 5 days kayaking in the Golfo San Jose and Golfo Nuevo with Southern Right Whales (June-Dec), sea lions, camping under the stars each night. Take a boat trip with Southern Right whales and a land tour of the peninsula visiting penguin and elephant seal colonies. Upon arrival to Trelew airport, you will meet a Patagonia Explorers Guide. From there we will drive to Peninsula Valdes nature reserve. Puerto Piramides will be our destination - the only town in the reserve. Once in the hotel you will be greeted by the Patagonia Explorers team followed by an orientation chat about the days to come. During the afternoon we will go for a boat whale watching trip, by boat, to have our first encounter with the southern right whales. 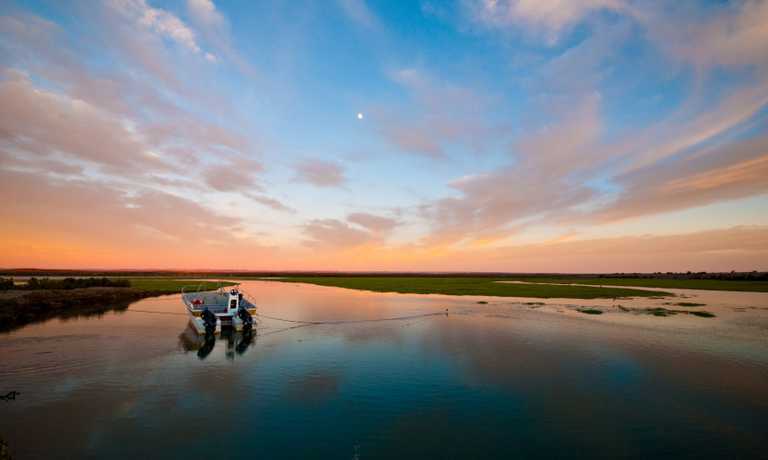 Accommodation: Del Nomade Ecolodge, Puerto Piramides. In the morning we will drive to the gulf of San Jose, and the departure site of our kayak expedition. The next five days will be spent enjoying and exploring the magnificent coast and wildlife of this gulf. The paddling distances are approximately 15/20 kms each day, allowing us a good margin of time to observe the different marine mammals, birds and other highlights. We will take several hikes to enjoy the interesting scenery and make sure there's time to relax and enjoy excellent food accompanied by pure and wild nature. regulations. We take our time to practice and feel comfortable with our kayaks before we start. We begin paddling towards Punta Conos, on our way we pass through a southern sea lion colony, where the sea lions happily dive into the water to come and greet us. We will stop for lunch on a beach close to the colony. In Punta Conos area, we set up our first camp and then during the afternoon we will walk different sections of the area, observing marine fossils which are characteristic of the Valdes Peninsula. This particular site having a substrate containing various fossil marine life forms that inhabited this sea million of years ago. You can also visit sand dune areas where you will find archaeological remains of the ancient Tehuelche Indian. From our camp we will be able to enjoy a wonderful sunset and a delicious dinner. After a good breakfast and breaking camp, we will paddle for approximately one hour to Whale Camp, a small beach where we will have lunch and make camp. It is possible that we will camp here for two nights so that we can go for a few hikes to different points of interest. This place is where researchers camp to study the southern right whales, a program that has been carried out for over 30 years. Bay, where at low tide, a huge section of the beach remains exposed (a slough). This is an area where many shore birds feed in sand flats which are exposed during low tide, such as two-banded plover, lesser yellowlegs and Bird's sandpiper. After lunch we paddle following a section of cliffs and small bays until we reach enchanting bay where we will set up camp. This area is one of the best to see whales close to the shore. Late in the afternoon before dinner, we'll enjoy an authentic argentinian picada (dive) under the majestic Southern Hemisphere sky and to the sound of the whales. destination for the kayak trip. Once the kayak expedition is completed we will return to Piramides village to overnight at the Del Nomade Ecolodge. Relax during the afternoon and enjoy the town of Puerto Piramides and then meet for dinner at a local restaurant. After breakfast we take a land tour to the external coast of the peninsula, reaching the Atlantic Ocean where we will be able to appreciate the diversity of wildlife, and the impressive landscape. To untrained eyes, it appears a barren when in fact, it is bursting with wildlife. We continue on to Estancia San Lorenzo located not far from Punta Norte and bathed by the waters of San Matias gulf. This estancia takes care of one of the most important penguin colonies on the peninsula with approximately 200,000 specimens. As with every season, the penguins start to turn up in August and leave in April. We will visit the Punta Norte reserve, the most famous animal observation point on the peninsula. Here you will observe a sea lion colony, graceful guanacos (a South American camelid), a big rodent locally named "mara", the fast rheas and some elephant seals. With any luck, some orcas may show up. After Punta Norte we'll continue to Caleta Valdes nature reserve, a particular geographical feature that encloses the largest variety of sea fauna in peninsula. This 22 mile long thin strip of land is favourable for the development of many sea mammals, sea and shore birds and some typical species from the Patagonian steppe. The beach, protected from the sea and the wind, is ideal for elephant seals. This marks the end of our adventure and we transfer you to Trelew airport. Land tour to the external coast of the Peninsula Valdes Nature Reserve. Visit to San Lorenzo Magellanic Penguin colony. All group camping and cooking gear. All group equipment, kayaks, paddles, etc. Ground transportation as mentioned in itinerary. Airport transfers to Puerto Madryn/Trelew on day 1 and day 7. All meals while on the kayak expedition.